Tax time is right around the corner. Every year, there are certain questions many taxpayers have about filing their taxes. In an effort to make the process easier, we’ve addressed some of the most common questions we get about tax filing. For most individual taxpayers, the date to file taxes is April 15. However, since the 15th falls on a Sunday in 2018, you will have until April 17 to file your taxes for 2017. Keep in mind, you can file your taxes anytime after you have received the necessary 1099s or W2’s in the mail. Taxpayers who need more time to prepare their taxes can file for a six-month extension. However, it is important to keep a few things in mind. First, if you expect to owe money, you must pay your balance before April 17th to avoid penalties and interest. Secondarily, if you are planning to deposit funds to an IRA account, you must have the money deposited and recorded in your IRA in April. What if I filed but made a mistake? If you made a mathematical error on your taxes, chances are the IRS will catch the mistake and adjust your return accordingly. However, if you missed income, a credit or a deduction, or made a mistake in filing status, you will have to file an amended return. Your tax preparation specialist can help you with the proper documents. Taxpayers may have different filing statuses they can use. For example, married couples may file a joint return, or may file separate returns. Singles may be eligible to file head of household status which could reduce their tax burden. Taxpayers should discuss their options with a qualified preparer, so they know the implications of the different filing status could mean for them. I am expecting a refund, how long will it take? The longer you wait to file your taxes, the longer it will take to get your refund. Early in tax season, most refunds are received within 21 days. The closer it gets to the final filing deadline, the more people who submit their returns which could mean delays. If you are expecting a refund, consider filing early. If you are expecting to owe taxes, and are unable to pay, you still should file your return as soon as possible. Your tax preparer can help you determine how much to pay immediately and file the paperwork to request an installment agreement to pay the balance you owe. Does the new tax law impact this years’ tax filing? For most people, the new tax law will not impact your current tax filing. Some people prepaid their property taxes for 2018 which may result in a larger deduction. Your tax preparer can help you understand any changes you will need to make because of the new tax bill. 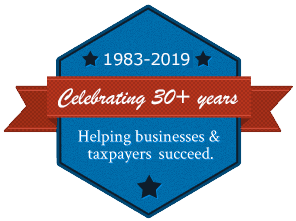 If you have any questions or concerns about your 2017 tax filing, contact Rue & Associates, Inc. we have more than two decades of experience helping clients in Central Virginia in Mechanicsville, Richmond, Hanover, Henrico and surrounding areas as well as clients nationally with their tax questions.